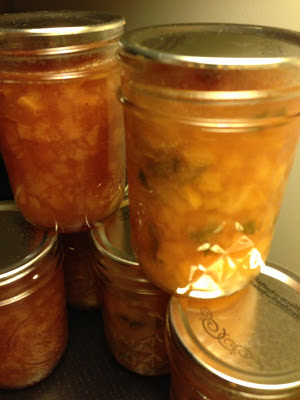 ...you make peach jam, peach jalapeño jam, and peach frozen yogurt. I was at Russo's, a local market with beautiful fruits and vegetables. Right in the front of the store were baskets of peaches. 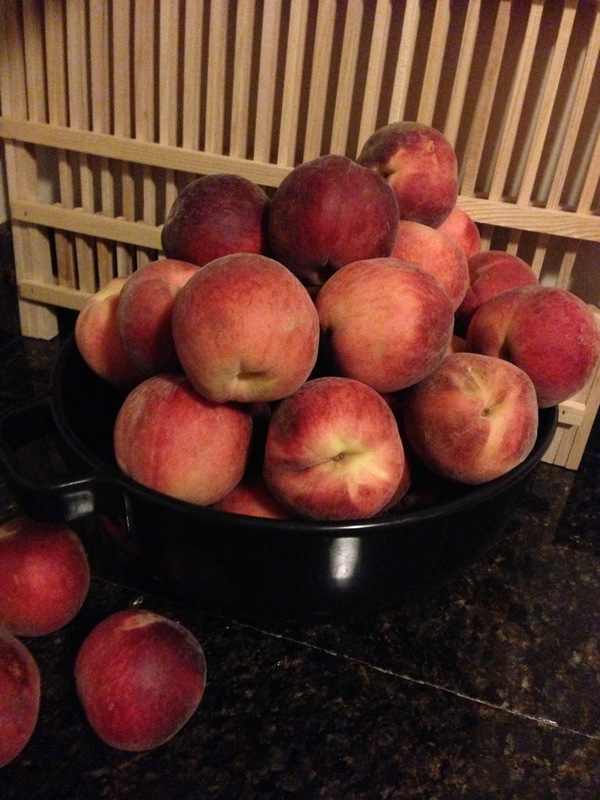 I couldn't resist and found myself carting home 13 pounds of the gorgeous fruit. 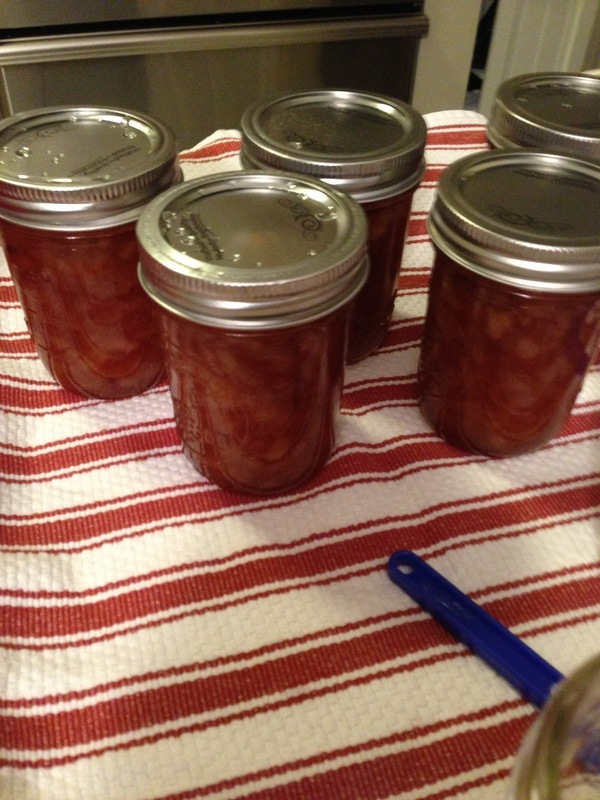 After a year of trying to use up last season's jam (yes I still have some left) I was ready for a new season of canning adventures. 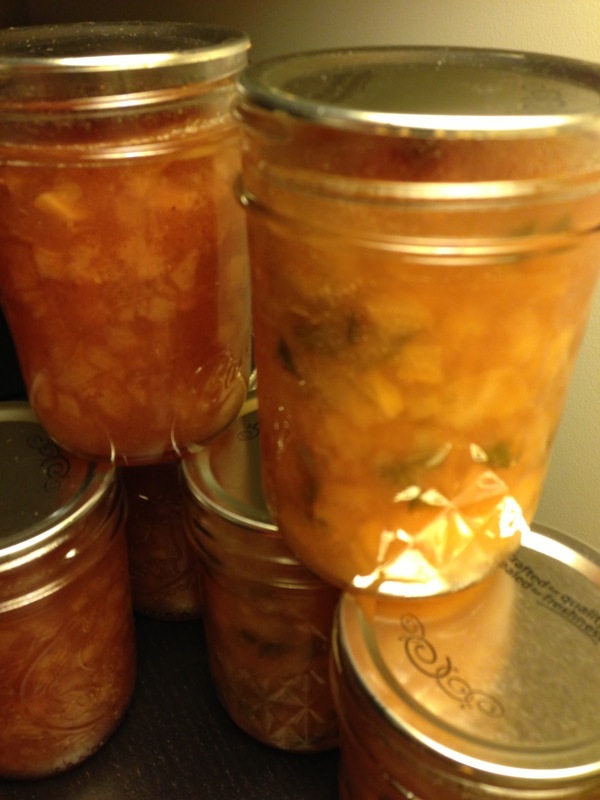 So I went to my favorite book/blog, Food in Jars, for inspiration. I decided to start with a straightforward Peach Jam. The recipe online is a double recipe of the one found in the book. Once cooked down the printed version made five half-pints. 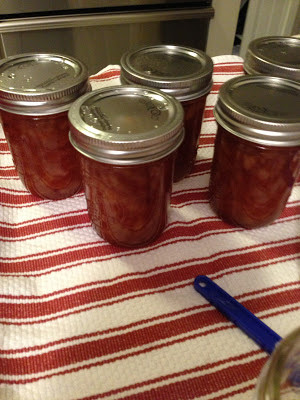 Next I went back to a recipe I tried last year - Peach Jalapeño Jam from the Homesick Texan. The first time I made this I removed all the seeds and ribs from the jalapeño because I wasn't sure how spicy it would be. As a result it wasn't spicy at all. There was only the flavor of the pepper without the heat. This year I only removed the seeds but kept the ribs. I didn't want the feel of the seeds in the jam, even if it added extra heat. I'm really happy with the way it turned out, I only wish I'd made a bigger batch. Once cooked down it made a little over three half-pints. The little bit that wasn't worth processing I've been eating with a little goat cheese on crackers. It's a tasty snack. The other thing I've been making a lot of this year is frozen yogurt. After having an ice cream maker for a few years I'm finally putting it to good use. I recently purchased David Lebovitz's book The Perfect Scoop. 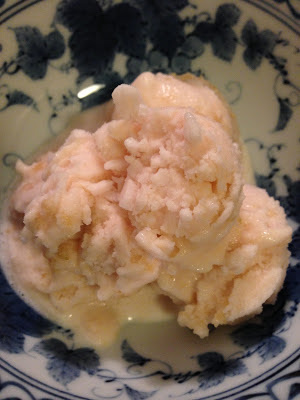 His recipe for Peach Frozen Yogurt has only five ingredients - peaches, water, sugar, whole milk yogurt, and lemon juice. The only thing I changed was using Fage Greek yogurt. It's surprisingly difficult to find regular whole milk yogurt and I like the extra tang in Greek yogurt. I still have at least 3 pounds of peaches. 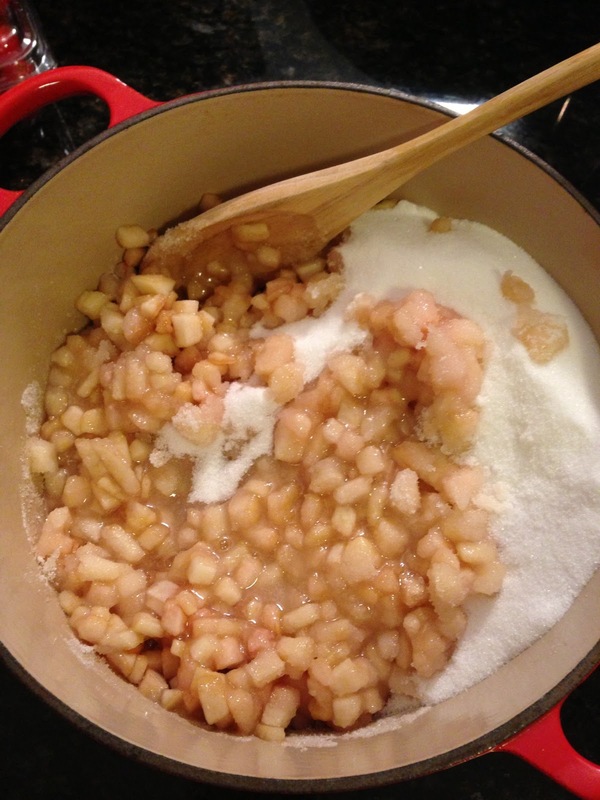 I'm going to make at least one more batch of frozen yogurt and then maybe a cobbler or crostata. I was worried that I wouldn't be able to use up all 13 pounds of fruit but it's really not that difficult to get through it all. Can't wait for the next summer fruit and the recipes I'll discover. I would like to place an order for one can of the peach/jalapeno jam. KK. Thx.